Designed to offer greater support and comfort, while showering or bathing. 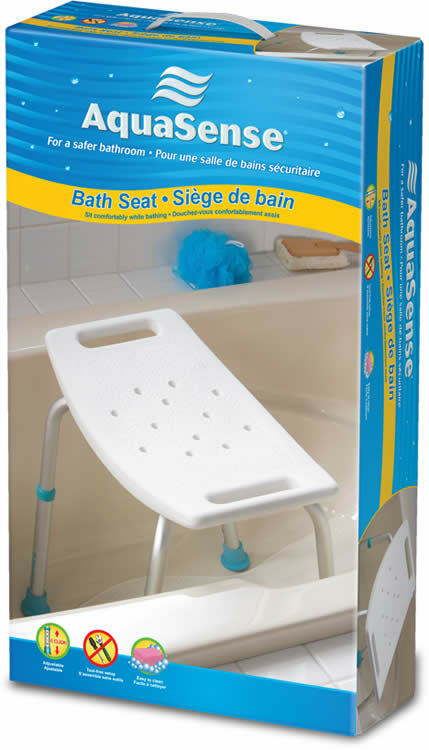 This adjustable bath seat without back, by AquaSense® is made from lightweight aluminum, with blow-molded plastic seat. 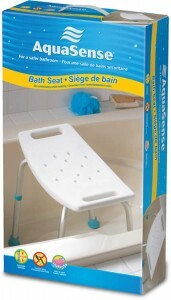 This bath seat can also be used in the shower. It features a textured surface, drainage holes, seat handles, and slip resistant rubber safety tips. Adjustable legs raise or lower the seat height.